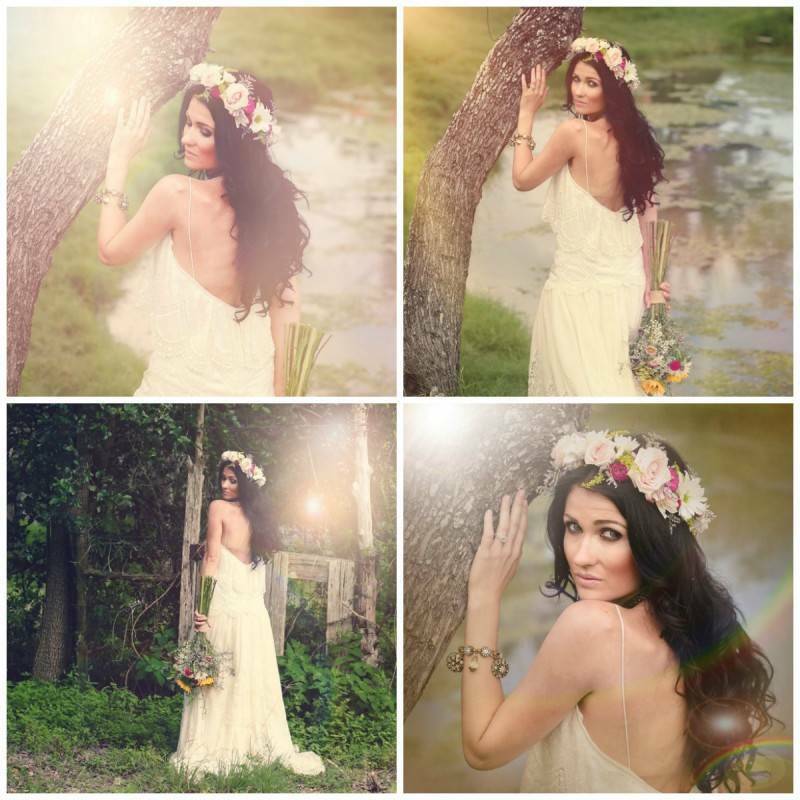 It is every girl’s dream to look absolutely perfect for their wedding day and this photo session did just that. This bride-to-be is so stunningly beautiful that the simplicity of this whole bridal shoot all the more resulted to such remarkable photos! 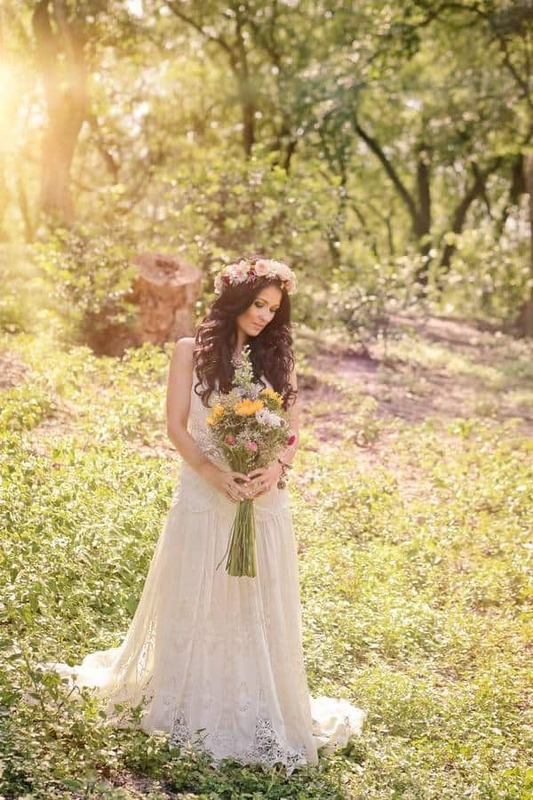 The vision for D’laine’s bridal session was earthy, hippy, and boho-chic. She’s a nature and animal lover and very down to earth. D’laine’s personality, amazing vintage dress, floral halo and wildflower bouquet all inspired the look and feel of her portraits. 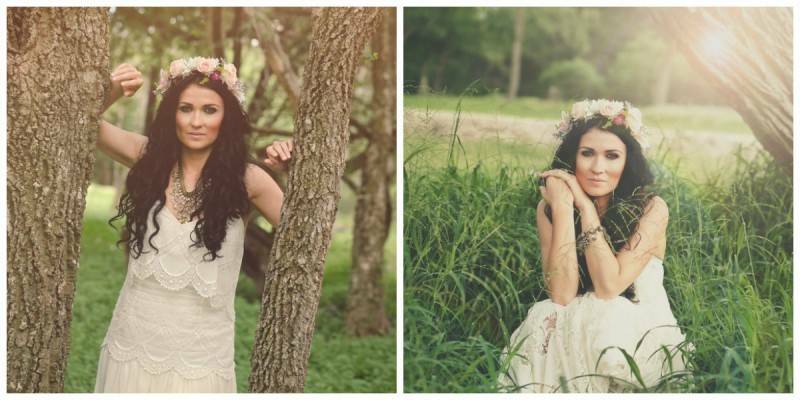 This was shot on a private property along a quaint little creek in South Texas. 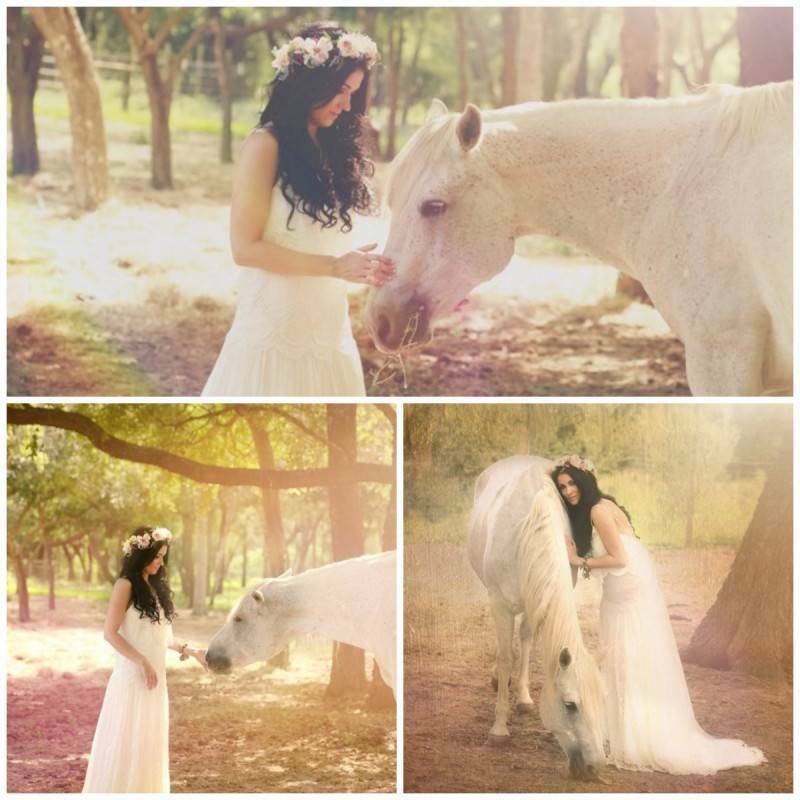 The photo shoot was absolutely enchanting from beginning to end. The horse was an unforeseen bonus that was perfectly fated to be a part of D’laine’s photos. D’laine is so naturally beautiful; the late spring rain had created the lush, green surroundings that were the perfect complement to her beauty and style. And as you know, we always love a good story. We were very lucky that Robin was also able to share with us D’laine’s wonderful fairytale with her one and only Prince Charming, Matt. Matt and I met about 4 years ago through my brother. Matt was this super adorable, mysterious musician that had just moved into my hometown and had an equally adorable girlfriend. I was single one day and not single the next day kind of chick in an “it’s complicated” Facebook status relationship. Over the next two years I got to know Matt better by attending concerts of his on the weekends, when I was back in town, alongside mutual friends. Yes, he also lost the girlfriend along the way. Then in November of 2011 a new job opportunity brought me back to my home town. I had been back in town a couple of weeks, it was December 8th 2011, when I went out for a drink with some friends, walked into the bar and guess who was playing acoustic that night? The one and only Matt. Voila, it hit us both like a brick wall, we fell in love that night! Two years later on Christmas Day 2013 he proposed and I said absolutely yes! After your engagement, of course comes wedding planning. There was one thing I was sure of when it came to my wedding…I had my photographer picked for probably a year prior to even having a ring on my finger. I had seen Studio Eleven’s photos through friends of mine who have used Robin and their photos are always amazing! Now after shooting with Robin, I am even more impressed and in love with her work. I think I might have even told her I loved her at some point. She makes you feel so comfortable, she knows exactly how to place your body and tells you were to look to get the perfect shots. She even brought me super cool headbands to wear to capture exactly what I wanted. Matt wanted his guitar and I had my grandmother’s quilt that we wanted incorporated somehow, she captured everything exactly how I wanted or better. I simply could not have asked for a better photographer and now friend! 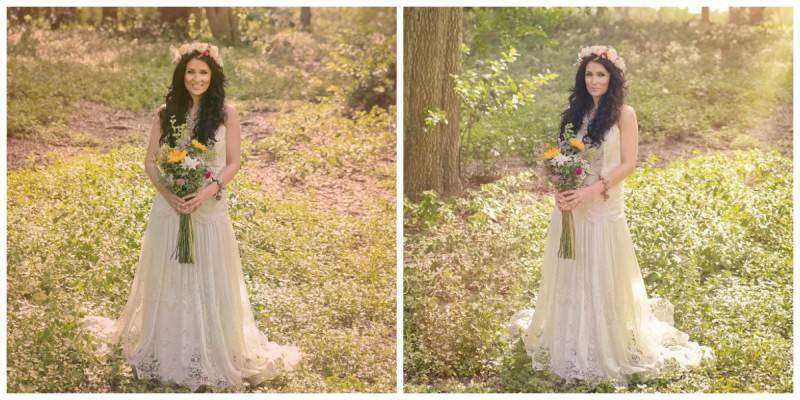 The bridal session with Studio Eleven was simply amazing. 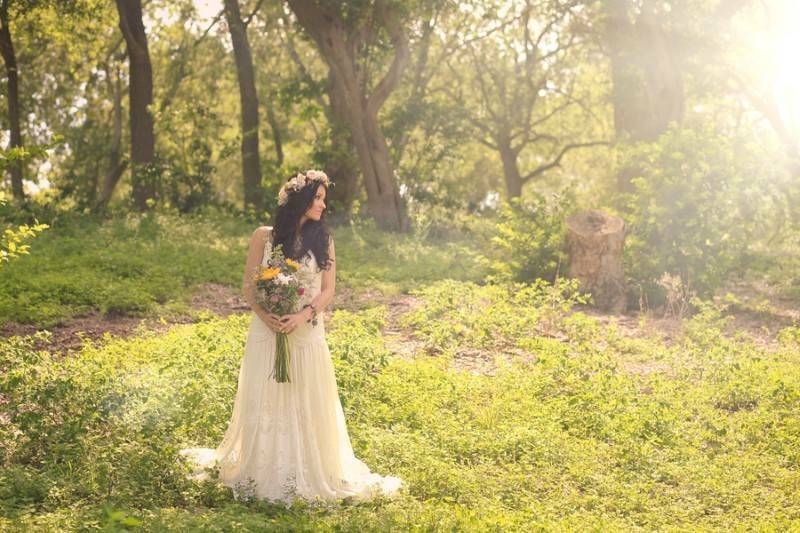 I could not have planned for a more dreamy, magical, bohemian inspired backdrop for us to use. 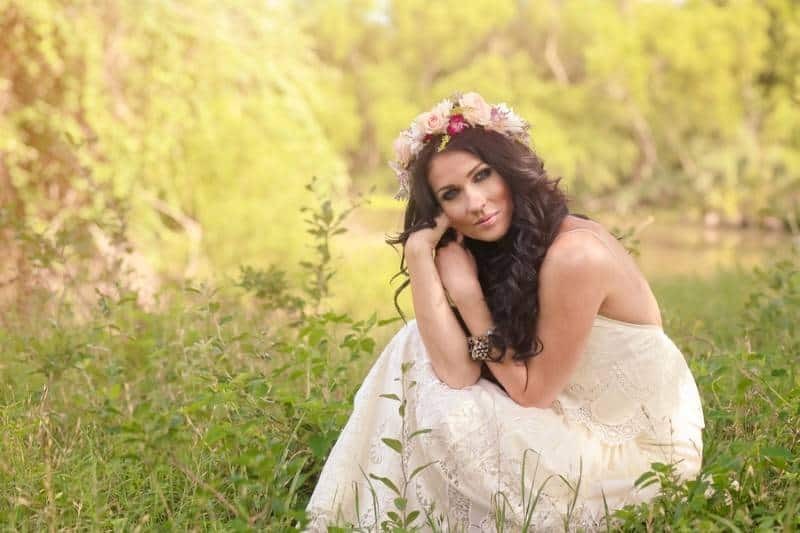 Robin chose her family’s farm for us to shoot the bridal session. There were peacocks walking about aimlessly, ducks swimming in the cutest pond, little colorful fat chickens in a coop, a beautiful white horse, the most adorable garden shed with stained glass that had vintage writing all over it, a gorgeous leisurely flowing river and breathtaking wildflowers and nature that went on and on. What more could you ask for? Robin has the most creative mind, every pose and backdrop she put me in turned into the most amazing pictures. I honestly think we are soul sisters, she completely understands what I am thinking and these pictures are honestly what I dreamed they would be. 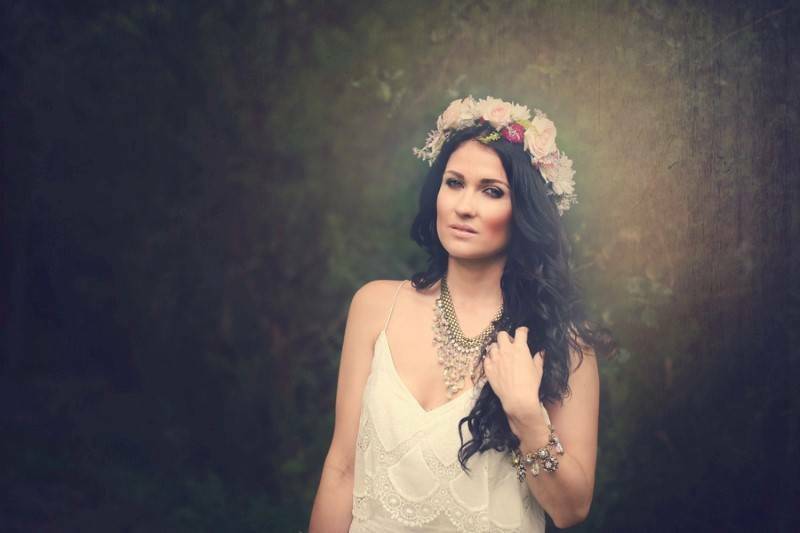 My boho inspired dress is from the Rue de Seine Bridal Collection by designer Michele Corty. All my jewelry is from Sweet Romance by designer Shelley Cooper. 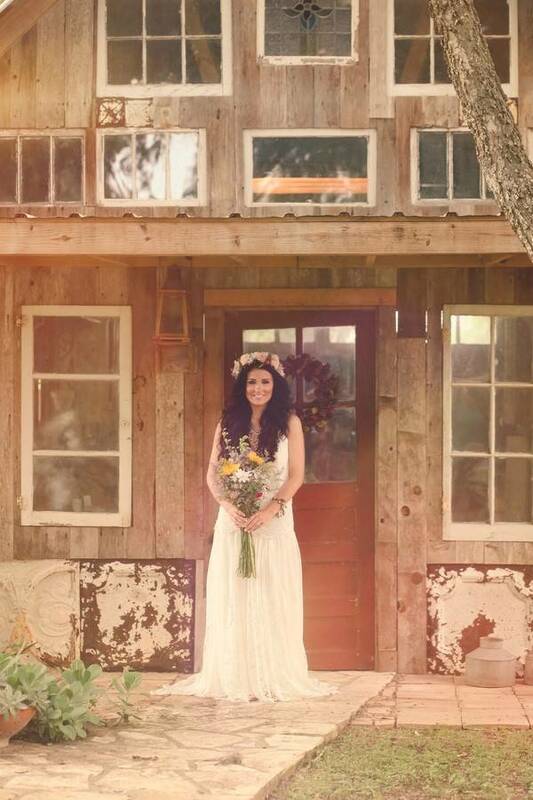 Our wedding is in July 2014 in Gruene, Texas. 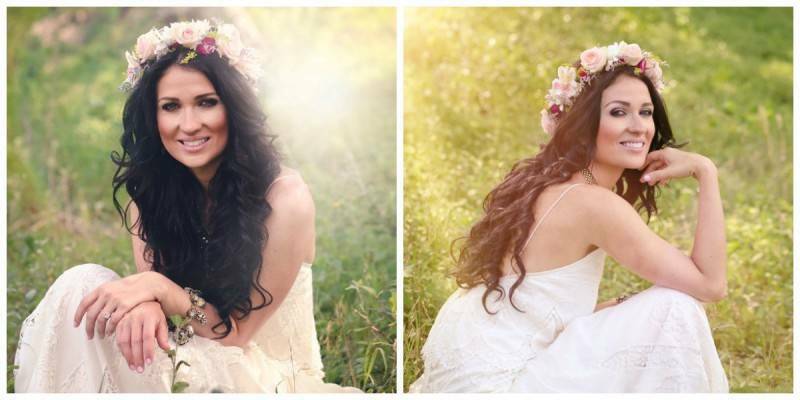 Our theme fits us perfectly, it is a boho hippy wedding. I explain it to most like this, imagine going and picking flowers in a field of wild flowers and then sitting down at your grandmothers table. I will have pink, yellow, orange, green, and purple flowers with a boho vintage flare. The bridal party will all be wearing ivory lace dresses. The groomsmen will have tweed slacks, blue vests, and a bow tie. In a nutshell it will be a simple, fun, summer party.